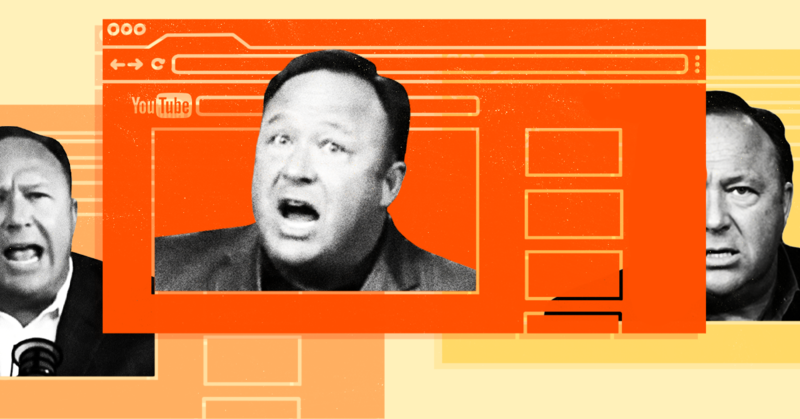 Although YouTube has banned several channels associated with conspiracy theorist Alex Jones, his Infowars outlet still appears to be able to spread its message on the video platform on a channel called The Free Speech Channel. 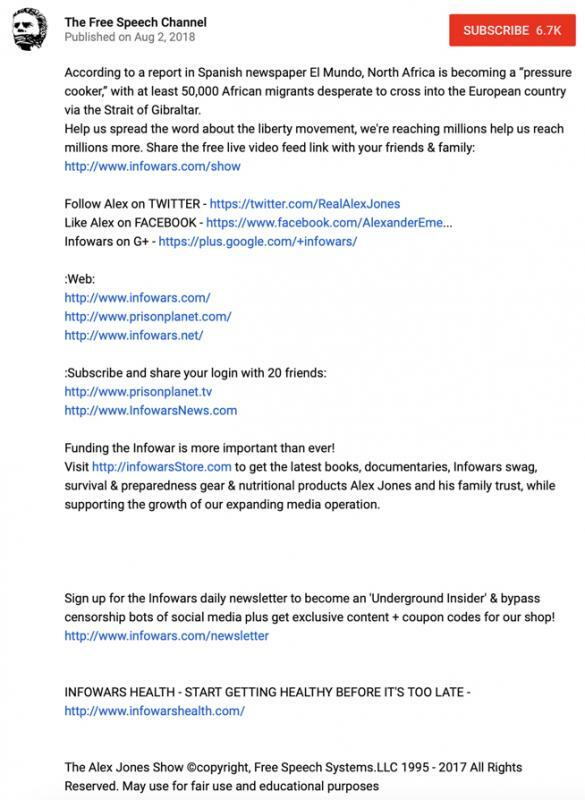 On March 19, YouTube banned a channel that exclusively shared Infowars content under the name Resistance News following reporting by Media Matters. The Free Speech Channel, previously dormant for the last seven months, has now come back to life to share Infowars content. The channel was created on March 3, 2018, and exclusively posts videos from Infowars broadcasts. Notably, a March 3, 2018, Infowars.com article tells readers to “support these two new channels in the fight for free speech” before listing The Free Speech Channel and Infowars Censored. The Infowars Censored channel’s account was previously terminated by YouTube. As was the case with the Resistance News channel, Infowars websites embed videos posted to The Free Speech Channel in articles. Videos posted to the channel that are more than seven months old include the description, “Help us spread the word about the liberty movement, we're reaching millions help us reach millions more,” and feature links to Infowars-operated websites and Alex Jones’ social media accounts. The videos posted to The Free Speech Channel reflect the toxic conspiracy theories found at Infowars.com. 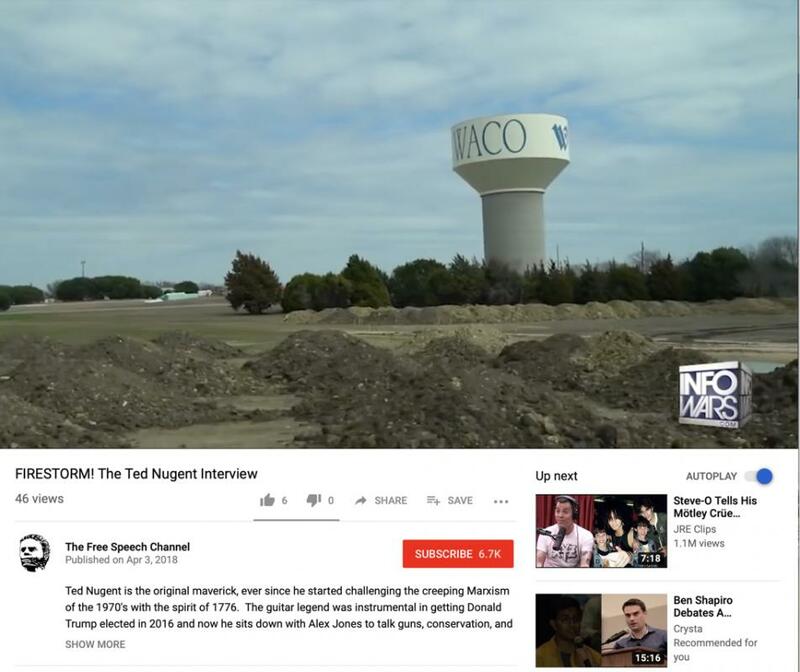 For example, the channel is currently hosting numerous videos attacking David Hogg and other student survivors of the 2018 Parkland, FL, school shooting. 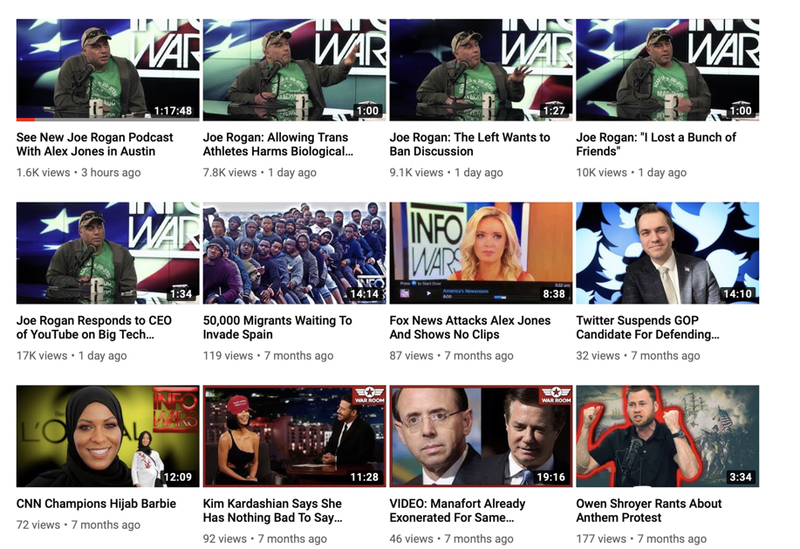 Channels that violate YouTube’s rules by exclusively sharing Infowars content are easily found on YouTube, but the video platform doesn’t appear to be devoting many resources to enforcing its own rules.